Whether you need to create a report based on an Excel spreadsheet, or want to transfer some table data to the Web-friendly form, conversion of Excel to HTML is what you need. Yes, you can accomplish this task in Excel too, so it seems you are fine already. 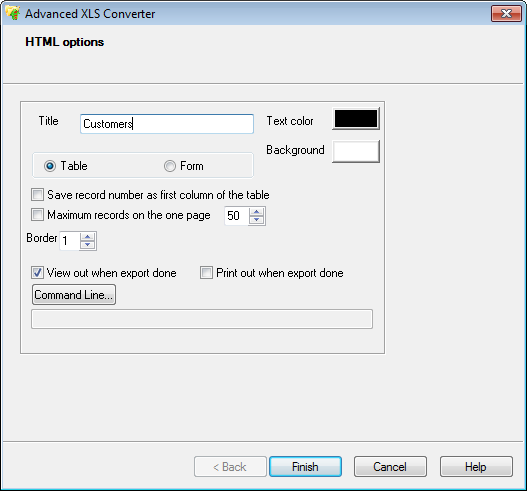 With Advanced XLS Converter you can convert literally hundreds of Excel documents to appropriate HTML pages, so your collaborators or clients can see those spreadsheet data too. 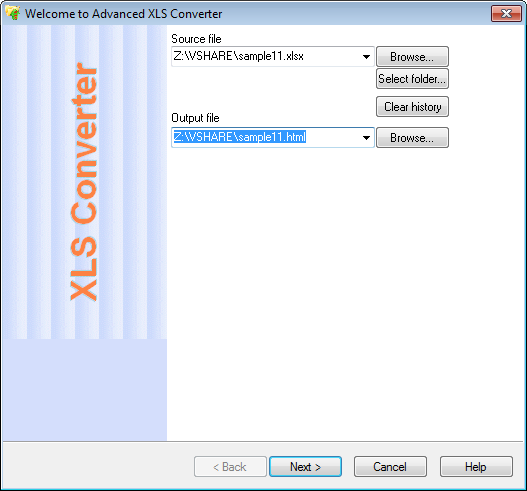 In the main window of Advanced XLS Converter, browse for an Excel file to convert. Then, specify the name of the HTML file to save the output data to. For multi-conversion, select a folder instead. All Excel files in that folder will be converted to HTML. 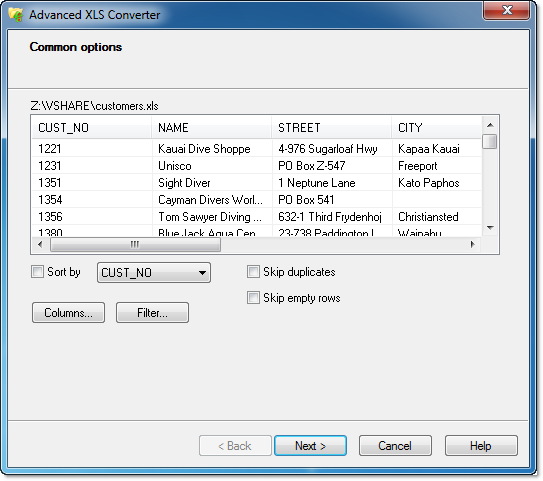 Advanced XLS Converter reads the specified Excel file and shows a preview of sheets, cells and data. Now, you can filter out some data from the Excel file, select specific columns to export and adjust other settings. When you are done, click Next. The final step allows you to adjust how the output HTML will look like. In particular, you can set the title of the HTML report, configure colors and pagination. Copyright © 2019 HiBase Group. All rights reserved.